Stenciling is an option on almost 100% of our products. 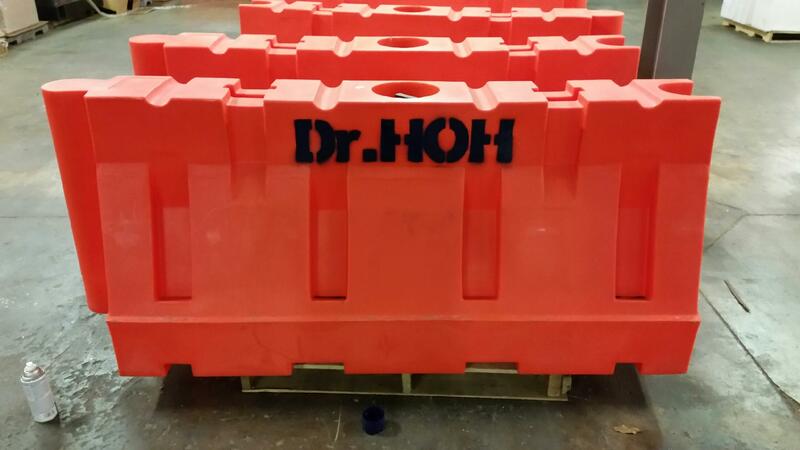 From barriers to delineators to traffic cones, just let us know what you need and we can let you know the cost. Cost varies product to product, and if you need special options besides the standard stencil font or color we would have to quote you special. Stenciling or hot stamping images is not easy, but we do have stickers that can be adhered to these products. They are a weather resistant vinyl that come in full color. Price depends on quantity and size of sticker. This can be a great way to keep track of which traffic control products are yours, promote your brand and company name or just a way to personalize your products. Contact us if interested!